I’m puzzling about the subjective experience of virtual reality. Please help me by puzzling along. There is much to puzzle about, numerous dimensions of the VR experience to consider. Perhaps the most important is the ethical dimension, but my puzzling is not nearly far enough along on that topic to write about that yet – it will come in the future. Right now, I’ll just focus on the main impact of the VR experience, and whether that impact is rational or emotional. And I’ll narrow that focus to just two of the many kinds of VR experiences potentially available – one that I’ve experienced myself, and one that as yet I have not. In my previous blog post I mentioned being transported virtually to Florence, Italy, where I could stroll between the Duomo and the Baptistry of St. John. That’s the first experience I’ll reference. The second is the suggestion I’ve heard that VR can recreate (or create) biblical scenes, and put the viewer (the term I’ll use for the person using the VR equipment) right in the middle of the experience. The viewer, for example, can be placed into the boat with the disciples to experience the storm on the Sea of Galilee, and watch Jesus calm it with his powerful word. Or the viewer can find herself among the horrified mourners at the foot of the cross. The virtual visit to Florence is easily recognized as primarily an intellectual experience. 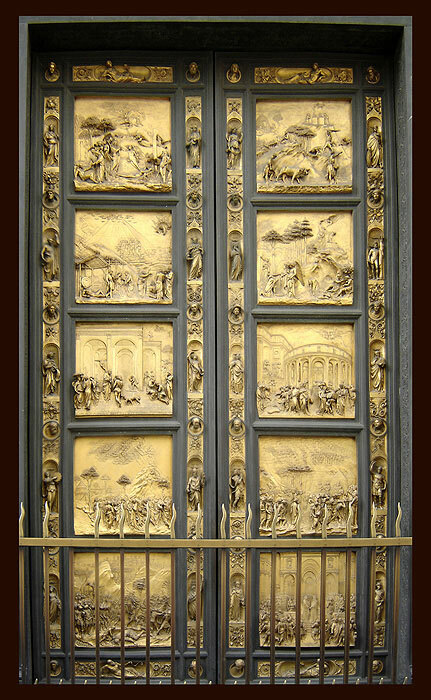 Although when I “walked” there the resolution from Google Earth was not fine enough for me to examine carefully the famous Ghiberti bronze figures on the baptistery door, that is a defect that will, I expect, soon be overcome with developing technology. One day soon, without leaving the comfort of my local VR studio – or even from my home – I will be able to “visit” almost any place in the world to examine its artwork and architecture, walk its streets, hear its sounds, and enjoy its scenery. Intellectually, this is a doorway to an almost infinite variety of experiences that can broaden the viewer’s horizons. It would be hard to overestimate the value of such opportunities. park, or where to eat safely, or whether you can get the rental car back without a dent. There is no worry about having your purse snatched or your billfold picked out of your back pocket (never carry your billfold in your back pocket!) or whether you can trust the stranger who offers to show you where to go. All of these are central to the experience of travel abroad, of learning that yes there are ways you can survive, get along, and even prosper outside your usual comfort zone. That’s the exhilaration of world travel, its critical emotional dimension – likely missing in a VR experience. If VR experiences like the above are primarily intellectual, with the emotional and personal watered-down or even stripped away, experiences of the second kind, (re)creations of biblical moments, would appear to be for the viewer primarily emotional experiences. These experiences would be artistic creations, based to be sure on biblical descriptions, but the details would emerge from the research and imagination of the artist-creator. This is not a new phenomenon; consider the countless paintings of the crucifixion over the centuries, all of them differing in details – Bukowski’s at Bethany is the only one I’ve seen with ropes supporting the Savior’s arms – did that really happen? We’ve seen as well the many depictions of the same event in films over the decades. So there might emerge any number of different VR crucifixion experiences, but with one essential feature in common: their impact on the viewer would be heavily emotional. There was, after all, only one way the crucifixion actually happened; which VR artist captured that one true way? The primary intellectual aspect of biblical VR recreations would accrue to the artist, the person who created the virtual environment in which these events would be experienced. One should expect a certain integrity that would prompt the artist to research and explore the customs, costumes, sites, the size and shape of fishing boats, the nature of storms on the Galilee lake, and other aspects of the times, so that the experience would be as authentic as possible. These intellectual benefits to the artist/creator (could these be our students?) would be quite substantial. But for the viewer, standing virtually at the foot of the cross with a concern for authenticity of detail would be missing the point. Even then, it wouldn’t be the same as being there. 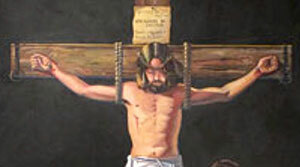 There was, after all, only one way the crucifixion actually happened; which VR artist captured that one true way? The stilling of the storm happened in a certain way; did the VR experience capture it or distort it? Can we, experiencing the event primarily through eyes and ears of the VR equipment, smell the stormy wind over the lake, brace ourselves against the rocking and bumping of the nearly capsizing boat, taste the spray of the waves hitting our face? Can we, aware that we are in a studio wearing VR goggles and earphones, feel the mortal fear of the disciples, and fully appreciate their amazement at the Lord’s power over it all? And most important, will we feel the sting of his rebuke over OUR lack of faith? I remain ambivalent over whether or not I even WANT to stand virtually at the foot of the cross. Isn’t it enough for me to read the descriptions in the Gospels, and let the words of The Word raise the images in my mind? And yet I know I have profited from viewing the paintings and the movies. Why not VR? Would it be TOO intense? If we are at the threshold of a “VR age,” it will be interesting, even exciting, to observe and explore questions like all of these about intellectual and emotional responses to VR experiences.